A must-have element to any kitchen design. LED lighting is the finishing touch. 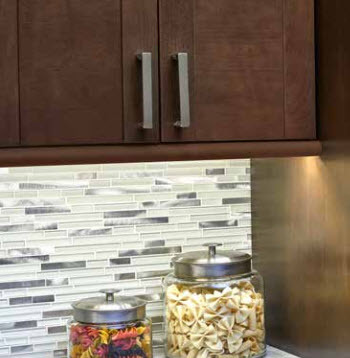 Low voltage cabinet lighting adds a layer of depth to your kitchen. 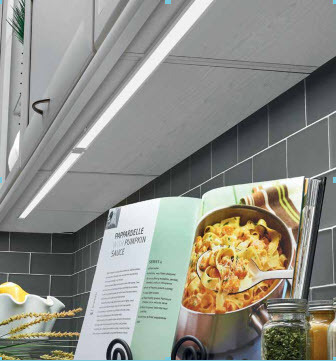 It highlights decorative surfaces and illuminates your food preparation areas. 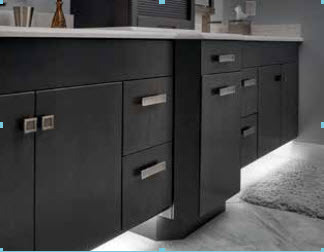 Low voltage under cabinet lighting can be mounted in the toe kick to create a dramatic visual effect as well as serve as a dimmable night light. Add a USB port to your configuration and have two handy charging ports for your USB devices. Call Cabinet Specialties to get a demonstration and a quote for your specific cabinet configuration.